Demand for Amazon Echo products has outpaced supply following the Black Friday through Cyber Monday shopping period. Echo Dot 3rd Gen is currently sold out on Amazon.com in the U.S. with stock available no earlier than December 15th and shipping dates showing as the 18th. 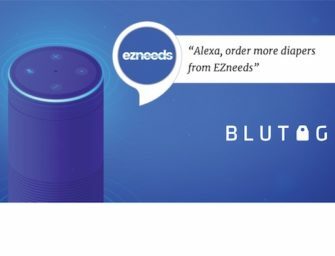 In France, Echo Dot is unavailable until December 15th, Echo Plus is unavailable until December 22nd and the Echo won’t be available until the 31st. The U.K. is showing Echo Dot shipping on January 26, 2019, and Italians will have to wait until the 25th before Amazon.it has any Echo devices to ship. Amazon Echo Show 2nd Gen is out of stock until December 16th and 17th in the U.S. and Germany respectively. Only Australia and Japan are showing no current stock-outs. Conclusion: discounts work and smart speakers remain popular with consumers. Currys and John Lewis in the U.K. also show Amazon Echo Dot 3rd Gen out of stock in the U.K., but Argos appears to have some available. In the U.S., Amazon is having more trouble keeping Echo devices in stock, but other retailers such as Best Buy are shipping Echo Dot 3rd Gen devices today. What this means for shoppers is that many devices are likely available from other retailers and several can still be ordered today from Amazon for shipment in advance of the Christmas holiday in the U.S. However, the rising backorders and stock-outs suggest that the devices are likely to become scarcer as we move further into December. This isn’t an unusual situation for Amazon. Echo Dots were sold out both in 2016 and 2017, but that occurred much later in the month. It is possible that the short supply of Echo Dots actually helps to sell the higher priced Echo and Echo Plus units as shoppers focus on the category for gift giving. Then again, in France and Italy, it is the Echo that is on backorder until after Christmas while Echo Dots are expected to be available in about two weeks. Google Home products appear to have better availability. In France, Google Home Minis are not shipping until the week before Christmas, but other countries appear to have stock available for shipment today. Google Home Minis did have supply problems in December 2017, but overall the company has had more consistent availability that Amazon over the past two years. What this situation indicates is that smart speakers remain a popular gift category in 2018. Amazon and Google are expecting higher sales than 2017 and consumer demand continues to be strong. Also, the backorder status for Amazon Echo Show 2nd Gen in the U.S. and Germany suggests that the smart display category may also be doing well this year among consumers. Alexa Skill Voice Ratings Accelerate User Rating Submissions - Analysis of Box of Cats, Tricky Genie, and Heads Up!